Timeguard 32W LED Energy Saver PIR Floodlight in Black at UK Electrical Supplies. 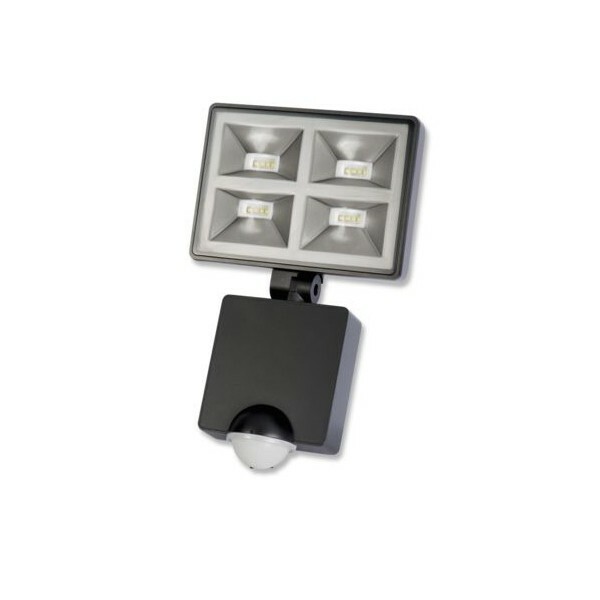 Introducing the new 32W LED PIR Floodlight from Timeguard, a welcome addition to their popular range of LED outdoor lighting. Instantly bright like halogens, this slim design range is equivalent to 2000 Lumens (approx. 230W halogen) with only 14% of the running costs. 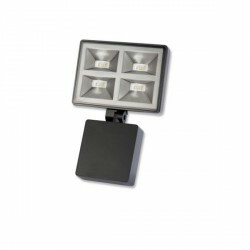 A powerful and energy saving alternative to halogen lighting with multiple features and benefits. 90° pan left and 90° pan right light aiming adjustment and 55° tilt adjustment. Optional mode settings – Dusk to Dawn Photocell mode and Test mode. 180° PIR detection angle within adjustable 360° range and up to 12m detection range. Lux (light level) adjustment – Day to Night (2 to 200 Lux – dusk to dawn‘ON’ when at max). 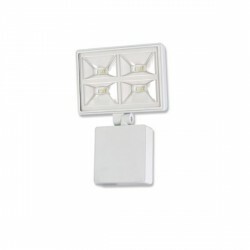 Can link with up to 5 slave 32W LED Floodlight codes LED400FLWH and LED400FLB for matching installations.